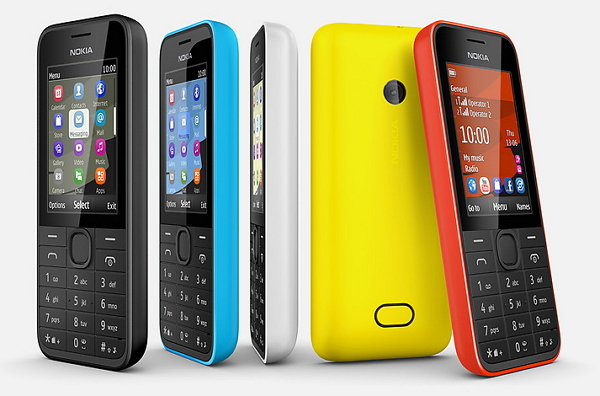 Nokia launches affordable phones called Nokia 207 and the Nokia 208 available in both single and dual SIM version. These phones have enabled 3.5G connectivity for fast internet access. The phones comes with outstanding battery life Nokia 207, 208 offers more than a month standby time and Nokia 208 Dual version gives 22 days of standby time. The Nokia 207 and Nokia 208 phones are having very similar features and hardware specs, main difference is Nokia 208 has 1.3MP camera but the Nokia 207 launched without a camera. The Nokia 208 Dual SIM has included Nokia's Easy Swap technology, lets you change SIM cards without turning off the device. The phones come with some pre loaded apps like Twitter, Facebook and WhatsApp. All the three phones available in red, cyan, white and black will start shipping Q3 2013. The phone cost around $68 excluding taxes.